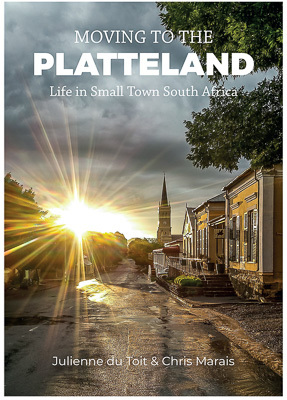 The best-selling traveller’s companion to the heartland of South Africa. Price includes VAT and Courier within South Africa. Category: Books. 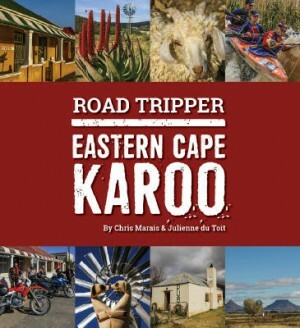 Tags: bestseller, book gift, chris marais, julienne du toit, karoo keepsakes, karoo keepsakes II, richmond bookbedonnerd. Teebus and Koffiebus Mountains, Eastern Cape. 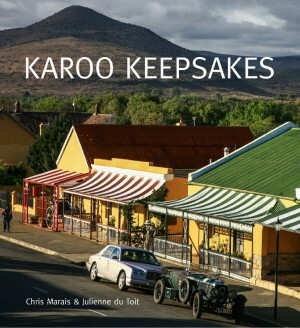 Karoo Keepsakes is a thoughtful gift, a traveller’s companion and a dedication to the people and the places that make up the dry Heartland of South Africa. 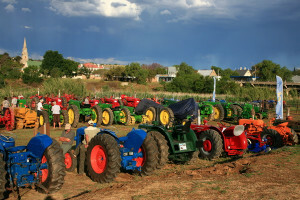 The annual Cradock Show in the Karoo Heartland. 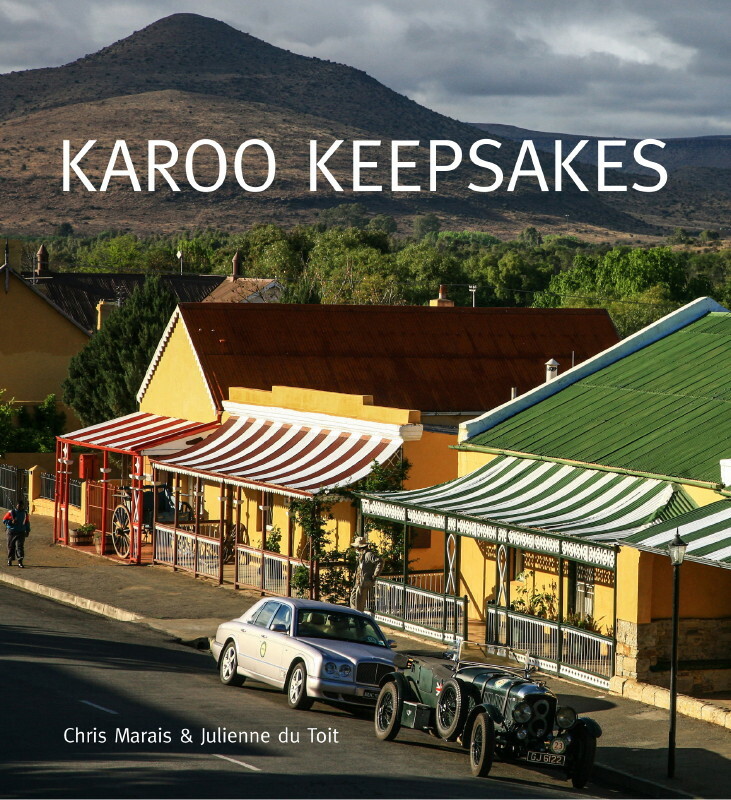 Written and photographed by long-time Karoo journalists Chris Marais and Julienne du Toit, Karoo Keepsakes is a collection of words and images that give you an insider’s view of what’s to be found under the seemingly flat vastness of the Karoo. 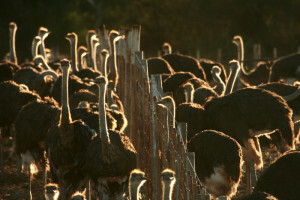 Ostrich – one of the icons of the Karoo. If you hate the story of pre-Man, pre-Dinosaur and the various extinctions that turned the sky black and froze the tracks of countless animals in clay forever, the Karoo is not your place. 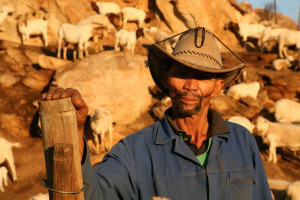 If you can’t stand the sight of wide-angle landscapes, quirky little cantina-like padstalle at roadside, flashes of springbok rushing across the plains, the pure peace of waking up on a midwinter’s morning on a Karoo farm, the call of the super jackal at sunset and the lunchtime laughter of the great story-tellers of the Eastern Cape Midlands, then simply pass on by. But we believe there’s a Karoo in the heart of everyone, so chances are you’ll be up for the adventure. 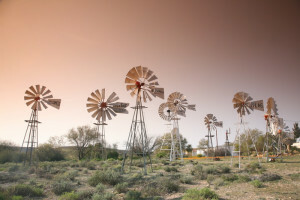 Windpump Museum, Loeriesfontein, Northern Cape. 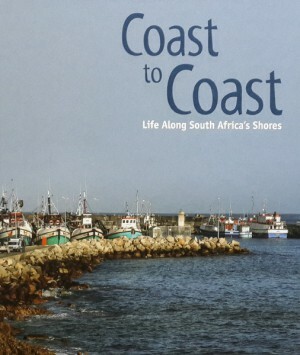 In this book, you’ll hear about the outpost stockmen of the Richtersveld, the dassie–eagle wars, Victorian architecture, the outsider artists, the crazy adventurers of the 18th century, the rituals of the huiskonsert, the Nama Stap, the Scottish stockbroker who loves the company of farmers, ghosts, UFOs, all manner of eccentrics, festivals, earthworms, folded mountains, country divas and lost valleys. 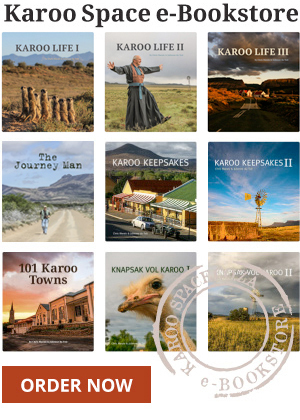 Take advantage of the Collector’s Special: the best-selling Karoo Keepsakes I and Karoo Keepsakes II, couriered to your front door, for only R500. Contact info@karoospace.co.za for details on this deal. I’m taking the unusual step, for me anyway, of addressing the authors of a book I appreciate so much. I have lived in South Africa since 1958. I’ve driven and camped Southern Africa much more, it seems, than many South Africans. As a young man I used to hike the Highlands of Scotland, so agree with Le Sueur (p28) whose favourites are the Karoo and north Scotland. Now that I am 89 your book is a valuable trip down my memory lane – just the job for an oldie who has seen so much of what you record. But the amount and quality of your photographs and your page by page evocative, sensitively written commentaries, have made this little hardback a wonderful read for me. My copy , a few years back now, is signed by Julie, thankyou. It’s been waiting for this my re-read in the real time I now have for ‘slow reading’. I thought that, by adding best wishes for Christmas and a Good Year ahead, it would be ok to convey my admiration of what you have given so many of us – and what is my personal treasure.